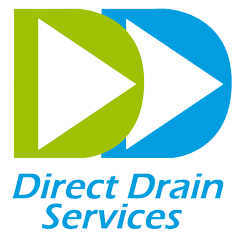 1.1 “DDS” means Drains Ltd trading as Direct Drains Services, registered in England company no. 04693123. 1.2 “Contract” means the contract between DDS and the Customer for the supply of Services at the Location as set out in the Quotation and accepted by the Customer. 1.3 “Customer” means the person or other entity that accepts a Quotation from DDS. 1.5 “Quotation” means the DDS quotation in response to a Customer order or enquiry for the provision of Services on the basis of these Conditions and any additional special terms appearing on the quotation. 1.7 “Conditions” means the terms and conditions set out in this document as amended, varied or supplemented by DDS in any Quotation. 2.1 A Quotation shall constitute an offer by DDS to the Customer to provide the Services at the Location for the price and otherwise on these Conditions to the exclusion of any other terms that the Customer may seek to impose or incorporate by its acceptance or otherwise, or which may be implied by trade, custom, practice or course of dealing. A Quotation shall be valid for acceptance by the Customer for a period of 30 days only from its date of issue unless otherwise agreed by DDS and may be withdrawn by DDS at any time before it is accepted by the Customer. 2.2 Subject to clause 2.4, the Contract is formed when the Customer accepts a Quotation. No addition or variation to, or departure from, or waiver of the Conditions shall be effective or binding on DDS unless expressly and specifically agreed in writing by a duly authorised officer of DDS (a list of such officers being available on request). 2.3 The Customer is responsible for ensuring that the Quotation accurately records the Location, the extent of the problem for which the Services are required and any statement or representation made or given by or on behalf of DDS on which the Customer relies before accepting the Quotation. 2.4 At any time prior to or simultaneously with the issue of its Quotation to the Customer, DDS may require the Customer promptly to provide trade and/or bank references in respect of the Customer and/or to pay a specified deposit in advance of the Services being undertaken and no acceptance of the Quotation by the Customer shall be valid or binding on DDS until such time as DDS has received the deposit and/or references in a form acceptable and satisfactory to DDS, in its absolute discretion. 2.5 The Contract constitutes the entire agreement between the parties. The Customer acknowledges and agrees that it has not relied on any statement, promise or representation made or given by or on behalf of DDS which is not set out in the Quotation. 2.6 Any samples, drawings, descriptive matter, or advertising produced by DDS and any illustrations contained on DDS’s website or in its catalogues or brochures are produced for the sole purpose of giving an approximate idea of the Services described in them. They shall not form part of the Contract or have any contractual force. 3.1 Subject to clause 3.2, the price of the Services shall be the price set out in the Quotation and, in addition, any fees, fines or charges incurred by DDS for parking, entering a congestion zone, or for the provision of any traffic management or control equipment. 3.2.7 a breach by the Customer of any of its obligations under the Contract. 3.3 DDS shall invoice the Customer for the Services forthwith after the completion of Services. 3.4 A Customer who does not have an account with DDS must pay the invoice in full and in cleared funds immediately after delivery of the invoice. 3.5 A DDS account Customer must pay the invoice within 30 days after delivery of the invoice. 3.6 If required by DDS, payment by the Customer shall be made to the bank account nominated in writing by DDS. 3.7 If the Customer fails to make any payment due to DDS under the Contract by the due date for payment (the “Due Date”), then the Customer shall pay interest on the overdue amount at the rate of 2% per month, compounded monthly or, if higher and as applicable, at the rate permitted pursuant to the Late Payment of Commercial Debts (Interest) Act 1998 and regulations thereunder. Such interest shall accrue on a daily basis from the Due Date until the date of actual payment of the overdue amount, whether before or after judgment. 3.8 If a Customer cheque is returned unpaid the Customer will be liable to pay to DDS a £25 plus VAT administration charge plus the cost of any bank charges incurred by DDS. 3.9 The Customer shall pay all amounts due under the Contract in full without any deduction or withholding except as required by law and the Customer shall not be entitled to assert any credit, set-off or counterclaim against DDS in order to justify withholding payment of any such amount in whole or in part, save with the express written consent of DDS. 4.1.5 if required by DDS, provide a clean water supply for use by DDS for the Services. 4.2 The Customer is responsible for the disposal costs of waste arising from Services relating to petrol interceptors, catch pits, grease traps, cess pits or where the waste produced is unusual, toxic, or requires specialist disposal including the cost and expense incurred by the use of specialist equipment or tanker hire or specialist subcontractors. 4.3 DDS reserves the right to make additional charges for tracing drain runs or clearing blockages in pipework not included in the Quotation, but necessary to complete the agreed Services in a professional manner. 4.4 In the event that DDS requires permission from any third party to gain access to their property in the course of carrying out the Services for the Customer, the Customer must use reasonable endeavours to secure any permissions required for that purpose and shall be liable for any claims from any such third party arising as a result of DDS carrying out the Services and shall indemnify and keep DDS indemnified from and against all losses, claims, costs (including reasonable legal costs), expenses, and liabilities. This excludes any claims which may arise as a result of negligence on the part of DDS. 4.5 The Customer must on completion of the Services check that the Services have been satisfactorily completed so far as is reasonably possible and must give notice in writing to DDS within 3 days of the discovery of any alleged fault or defect in the Services. 5.1 DDS warrants to the Customer that the Services will be carried out using reasonable care and skill. DDS shall use its reasonable endeavours to ensure the Services are undertaken on the date estimated on the Quotation. However, time for delivery of the Services will not be of the essence of the Contract and DDS reserves the right to change or postpone any date for any Services at any time. 5.2 DDS does not warrant that the Services will in fact effect clearance or resolution of the blockage or other problem and the Customer acknowledges and agrees that Services are supplied on the basis set out in Clause 5.1 and payment of the invoice is not subject to successful clearance of the Customer’s drainage or pipework system. 5.3 Disposal of normal silt, sludge, debris, fat, grease or scale removed in the course of carrying out the Services will be undertaken by DDS for the benefit of the Customer. 5.4 Subject to clauses 5.5 and 5.6 the Services carried out by DDS are guaranteed against blockages for a period of 30 days (the “Warranty Period”) from the date of completion of the Services. 5.5.2 the Customer gives notice in writing to DDS during the Warranty Period and within 3 days of discovery of any defect continuing after the Services have been undertaken, specifying in reasonable detail the nature and extent of such defect. 5.6.3 Defects to the structure of the drainage or pipework or its installation and construction, including defects caused by subsidence and any other external forces, the use of substandard materials, and defective workmanship or damage by the Customer, its servants or agents, or to blockages in pipes or drains or damage to pipes or drains caused by freezing action. 6.1 The terms implied by sections 3 to 5 of the Supply of Goods and Services Act 1982 are, to the fullest extent permitted by law, excluded from the Contract. 6.2.4 any other matter in respect of which it would be unlawful for DDS to exclude or restrict liability. 6.3.2 DDS’s total liability to the Customer in respect of all other losses arising under or in connection with the Contract shall in no circumstances exceed the price payable by the Customer under the Contract. 6.4 Where any Services fail to comply with the Contract DDS shall be entitled to reasonable time and facilities to enable it to correct such failure. 7.1 Notwithstanding any other provision of the Contract, neither party shall be liable for any failure or delay in performing its obligations under the Contract to the extent that such failure or delay is caused by any event beyond a party’s reasonable control, which by its nature could not have been foreseen, or, if it could have been foreseen, was unavoidable. On the occurrence of such an event, the time for performance shall be extended by a period equivalent to the period during which performance of the obligation has been delayed or failed to be performed. 7.2 DDS may at any time assign, transfer, charge, subcontract or deal in any other manner with all or any of its rights or obligations under the Contract. The Customer may not assign, transfer, charge, subcontract or deal in any other manner with all or any of its rights or obligations under the Contract without the prior written consent of DDS such consent not to be unreasonably withheld or delayed. 7.3 A person who is not a party to the Contract shall not have any rights under or in connection with it.